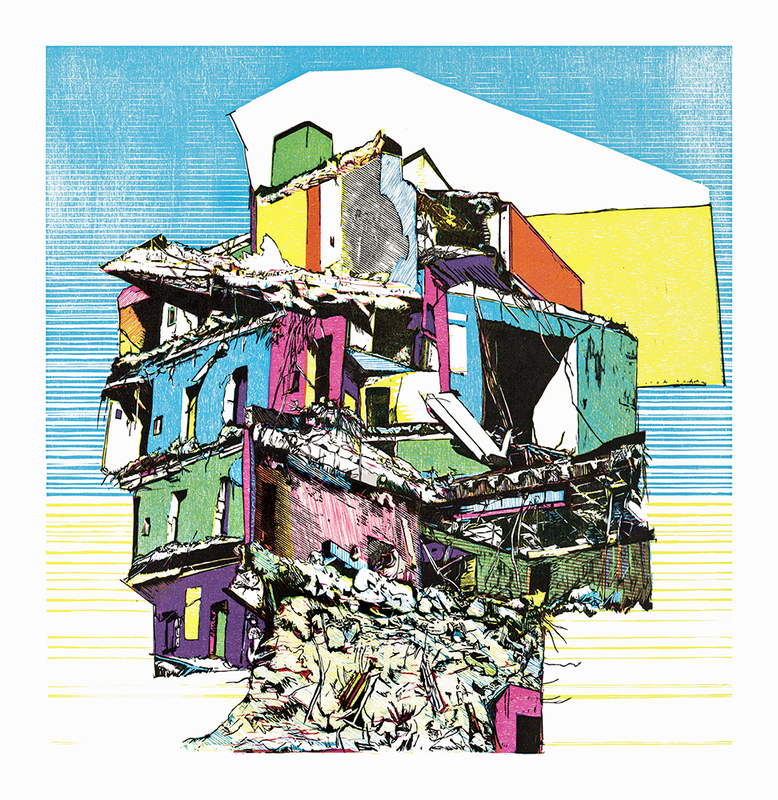 Finally after having worked on this woodcut for several months I am happy to say Demolition 3 is now ready to be editioned, Here is the proof and I will be creating an edition of 30 of this four colour woodcut print. They will be available to buy soon and are sized at 67cm high by 64cm wide, I hope you like it. Do get in touch if you would like one.